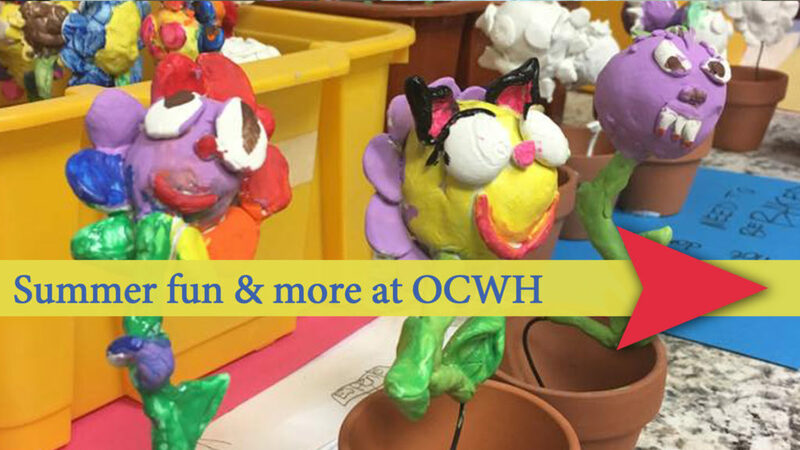 The summer at OCWH is off to a great start! Did you know that the Outreach Center is open over 400 hours annually and the doors are opened over 10,000 times a month with over 620 adults and children flowing through the Center? The non-profits that call the Center home offer an array of programs and services all throughout the year. AA recovery groups were even meeting during the aftermath of Hurricane Harvey. We’re glad to be part of a community that values the services that our non-profits provide and that we are able to offer our facility at an affordable, low cost to our tenant agencies. We couldn’t do it without your support! Double Your Impact this Summer – Over $15,000 raised toward our $28,000 goal! During the summer we are striving to eliminate our building debt so we can look forward to enhancing and maximizing our community presence and services to our non-profit agencies. Won’t you join us in reaching this historic goal to eliminate the building debt? Every donation received will be matched dollar for dollar. Donate today! 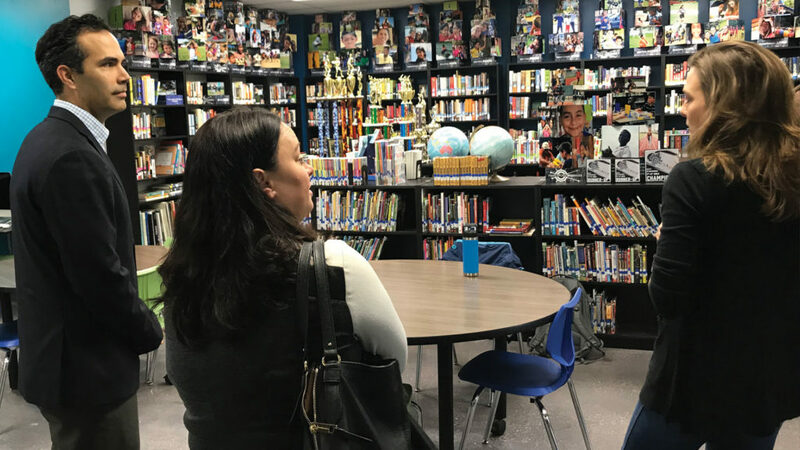 Earlier this year, Texas General Land Office Commissioner,George P. Bush, stopped by for a tour of the Center and to visit with FamilyPoint Resources. 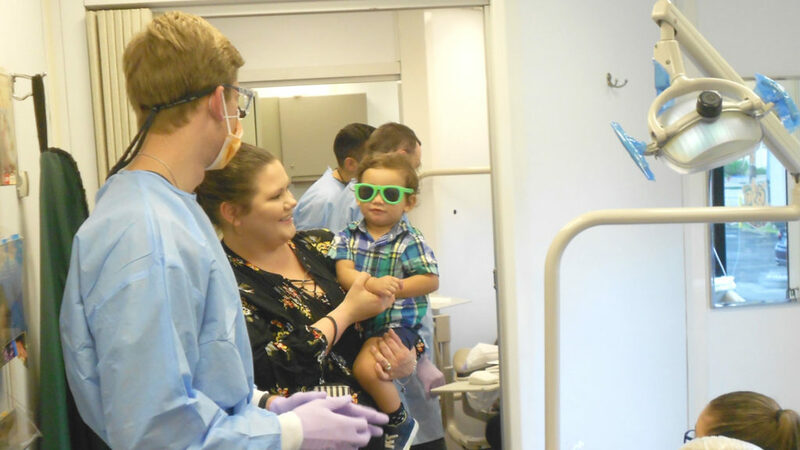 FamilyPoint Resources, one of the non-profit community agencies at OCWH, partnered with Communities In Schools and UT Dental Clinic recently to set up a mobile dental clinic outside the Center to provide free dental care to our neighborhood kids. Thank you FamilyPoint! 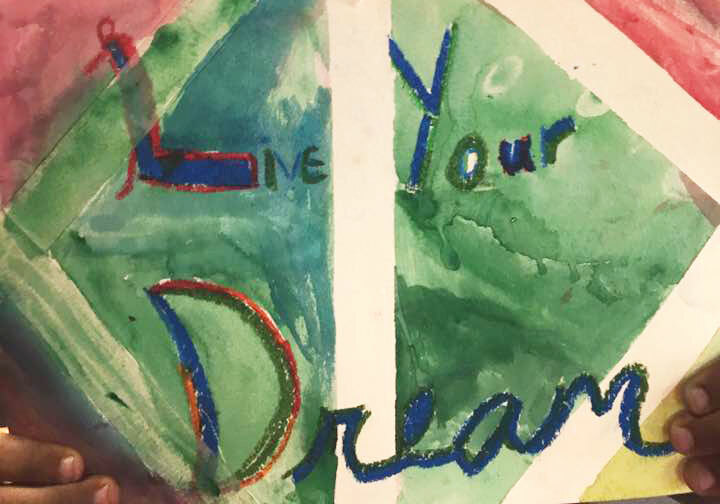 The Outreach Center is hosting a community Art Show on September 9. This is a free event for our neighbors. Local talent featured and many items have been donated to the Center for use on our walls. Thank you! We’ll have vendors, games, food trucks, and more at the Art Show. Mark your calendars! Mark your calendars for our annual charity golf tournament, October 15. Team registration and event sponsorships will open soon. Start planning your teams now. Leadercast Women 2018 – Our Leadercast event in May was a huge success and we are bringing Leadercast Women 2018 to our community this Fall. This is an annual, one-day leadership conference with women leaders sharing their insights and experiences to be the best leader you can be. Save the date for October 26. More to be announced and registration will open soon. Join our Leadercast Facebook group to be the first to know and receive special ticket discounts. Outreach Center of West Houston is more than just a building. It is a place where people find hope and healing for their lives through the many non-profit programs that call OCWH home. We are grateful to be a part of their story by continuing to provide a low-cost, safe, clean, and welcoming environment for them to serve our community. Consider making a one-time donation, recurring donation, or become an annual sponsor. There are several sponsorship levels available. Donate or become a sponsor.